The main goal in this project was to offer a typical USA flavour with their own touch. Philosopher Seeds crossed a Guava (Chemdog x Afghani x Chem # 91) elite clone with their best Juanita La Lagrimosa mother plant. The result is a peculiar mix of earthy Guava flavors with fruity citric notes from Juanita La Lagrimosa. Ideal for indoor grow rooms but also suitable for outdoor cultivation. High yields of frosty and compact buds. 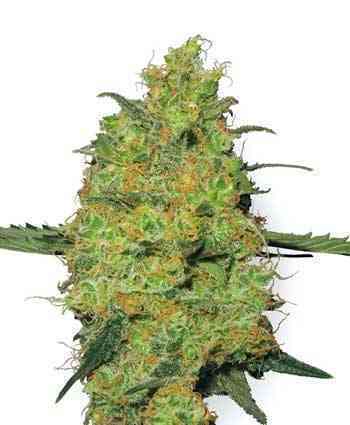 Guava Berry Kush / Guayita is a stable Indica phenotype which develops a strong and prominent central bud. Its little branching makes this strain perfect for the SOG technique. The broad and dark green leaves are clearly reminiscent of the Guava cut. As we mentioned, its compact and uniform structure make it ideal for SOG setups (Sea of Green), for which we recommend to use between 20 and 25 plants per m2. Guava Berry Kush / Guayita doesn't demand much nutrients. It needs to be watered regularly during the flowering period, especially with temperatures above 25°C. Another great trait of this variety is the high calyx-to-leaf ratio. It is highly resistant to pests and diseases, also to adverse weather conditions like low temperatures Guava Berry Kush / Guayita has an intense earthy flavor with notes of sweet berries. The combination of these two parents provides unique and amazing Kush flavors, long lasting and simply delicious. Guava Berry Kush / Guayita's effect is strong, highly relaxing and narcotic. 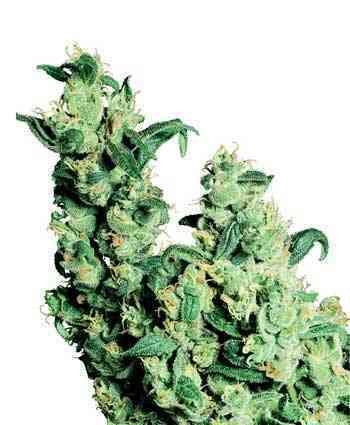 We recommend smoking it at the end of the day to combat stress and sleep disorders. Most phenotypes have very high CBD content (12%). Loved it, thank you guys I have found a strain that I will keep on with for years to come... Thanks Linda!